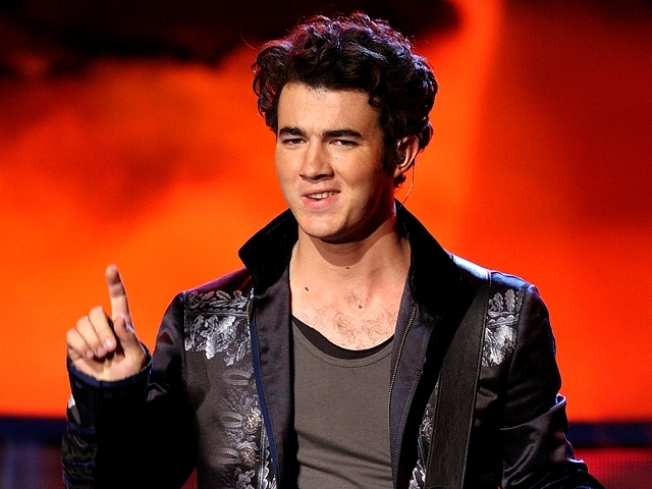 Kevin Jonas will make a guest appearance on NBC's "Minute To Win It," Access Hollywood has learned exclusively. The eldest (and only married) JoBro will join the show on Sunday, May 23, to support the charity Change For The Children Foundation. "We can't wait for Kevin to come on the show and take on some of our most nerve-wracking challenges," Craig Plestis, executive producer, said in a statement to Access. "We're anxious to see if he can win it in a minute and raise some big money for his charity." The episode will air before the two-hour live finale of "The Celebrity Apprentice at 9 PM ET. In related news, Kevin and his fellow Jonas Brothers will be honored on April 18 at New York City's Roseland Ballroom by the T.J. Martell Foundation, for the group's 11th Annual T.J. Martell Foundation Family Day fundraising event. The event will raise funds for leukemia, other cancers and AIDS research and feature a live Jonas Brothers performance.